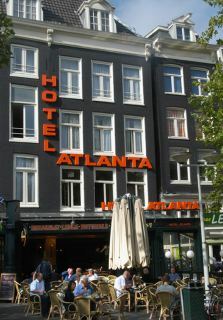 This central hotel overlooks the eminent Rembrandtplein. Scores of museums galleries theatres cinemas shops restaurants canals bars nightclubs and casinos are all easily reached on foot. ‘Rooms are small but for the price … absolutely fine.